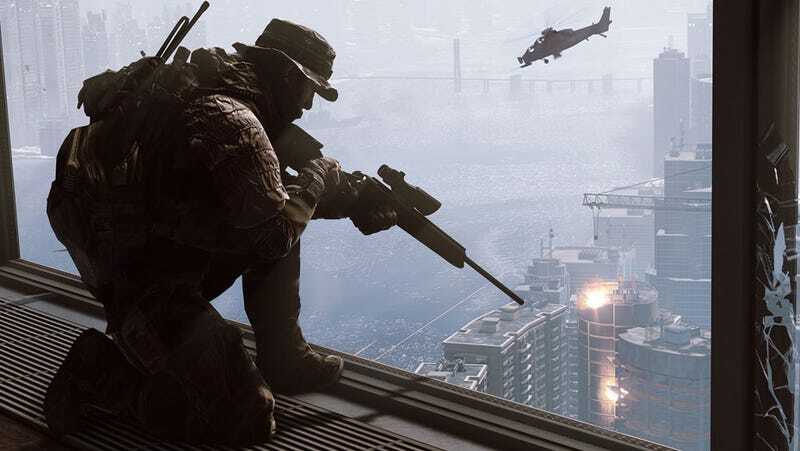 Today a federal court ruled to dismiss a class-action lawsuit filed against EA for lying about Battlefield 4, a video game that came out and didn't really work for some people. The plaintiffs can appeal—though it doesn't seem like they'll eke much more out of this. What's really interesting about the lawsuit, though, is how a federal court interpreted some of EA's PR statements. See, the lawsuit had argued that some of EA's corporate exec-speak—you know, the stuff we're all used to hearing from game publishers, stuff like "I think we are starting this console generation far stronger than we've done before"—was intentionally fraudulent. EA fought back with the argument that those statements were actually "vague expressions of opinion, corporate optimism, or puffery." And the judge agreed, leading to some unintentionally great comedy. The Court agrees with defendants that all of the purported misstatements are inactionable statements of opinion, corporate optimism, or puffery. Defendant Gibeau's May 7, 2013 statement that EA was in a "much better state" for the next-generation transition and that Frostbite 3 had "largely been de-risked" is a non-actionable vague expression of corporate optimism and puffery upon which no reasonable investor would rely. Non-actionable vague expressions! Puffery! But wait, there's more. For the same reasons, defendant Moore's June 12, 2013 statement that "this time around" EA did not pick the wrong technology platform and that EA had "derisk[ed]" Frostbite 3, along with defendant Gibeau's July 23, 2013 statement that "we wanted to de-risk" Frostbite 3 and that EA was "not going to repeat that mistake," are also inactionable. Defendant Wilson's October 29, 2013 statement explaining that EA "worked more closely with Microsoft and Sony [the next-generation gaming console developers] throughout the entire process" resulting in a "launch slate of games that are the best transition games that I've ever seen come out of this Company" is an inactionable opinion, as well as a vague statement of corporate optimism. Likewise, defendant Moore's October 29, 2013 statement proclaiming that "We feel . . . we're well ahead of this transition, and we're going to nail it" is also an inactionable statement of corporate optimism. In legalese, "puffery" refers to the type of exaggerated language that people wouldn't take literally, and it's generally acceptable so long as it isn't misrepresenting a product or action. So remember, next time a big video game publisher starts telling you all about how their next game is just going to be the Best Thing Ever, the word to use is puffery.